Please tell me pregnancy has brought out the worrier in you too? I guess it must be normal to worry about what you, eat, drink, feel, or even think. After all, there is a little life growing inside you, but what happens when you find yourself worrying about more then just that? 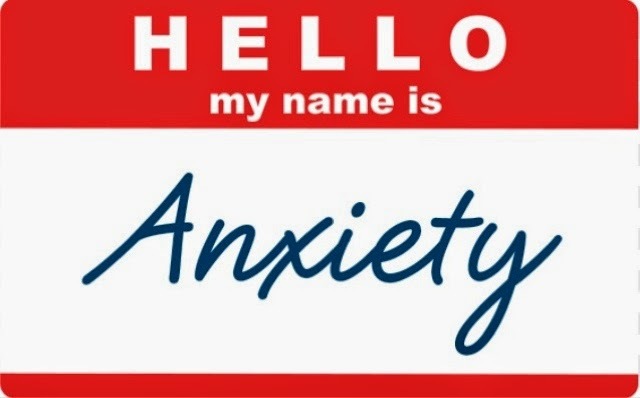 Everyone has feelings of anxiety at some point in their lives, whether it's preparing for a job interview, or bringing up a child. I guess for me, the feelings that soon-to-be-mummy's feel Is amplified by my anxiety. I can't honestly tell you when the last time I felt relaxed was, I feel like my mind is in constant overdrive. Will I be good enough? Will she love me? Can I cope? Am I making the right decisions? I know I have the support of my family when it comes to the baby, but I don't have the emotional support which is what I need more. My parents have never understood my anxiety, my mum previously told me to 'snap out of it'. If I could I would have snapped out of it a long time ago. I hope as soon as she is born, I may be able to get back to a more settled place. In lucky in the sense Sam is really supportive, he knows the right things to say when I'm really low. He also knows what not to say - which is equally important I find. With him being the only person I can turn to, I feel like I'm being a burden. The other thing that I find is getting to me a little bit is my Grandma, don't get me wrong I love her to death. I just feel like she is being a little overbearing. She has brought so much stuff for Baby E, I'm grateful that she wants to spoil her, and I love the fact that she is so excited. After all, it is her first great-grandchild, but at the moment were in the process of moving (we both previously lived with our parents - although we were together all the time). So I don't have a place to put the stuff, it's in my Nan's loft, at my house, in my Grandma's loft. It's just very stressful and causes a lot of worries that I don't have a home for all the stuff. I'm sure we will get there in the end, did anyone else suffer from anxiety during pregnancy? How did you cope?